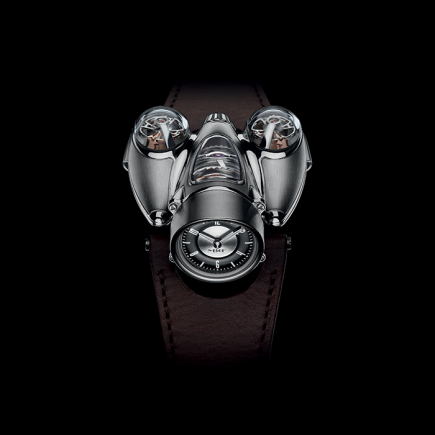 When Maximilian Büsser launched MB&F back in 2005, he was actually breaking the rules of traditional watchmaking and starting a rebellion. 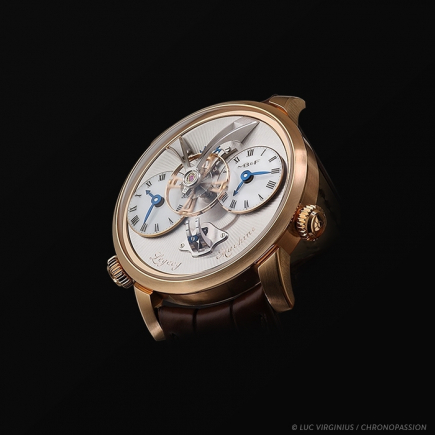 Maximilian Büsser had been working for many years for traditional watch brands and conforming to the rules of traditional watchmaking. 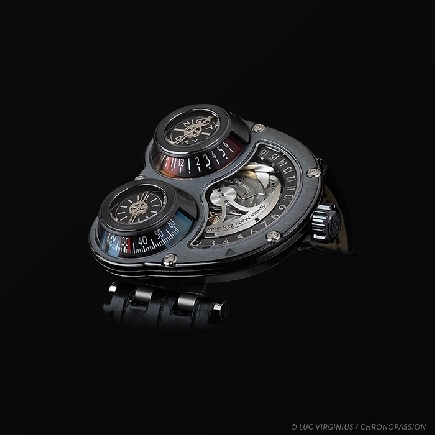 But for Maximilian Büsser, the movement of time needed to be expressed with more artistic freedom and high-quality watches needed to evolve from a design perspective. 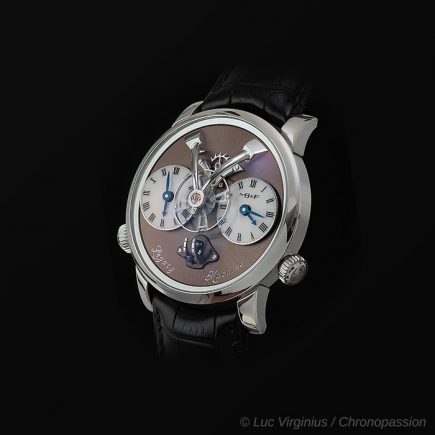 After some years with Jaeger-LeCoultre and then with Harry Winston, Maximilian Büsser had the intuition, and the will power, to break away from traditional watchmaking and create a new form of horology, based on design. 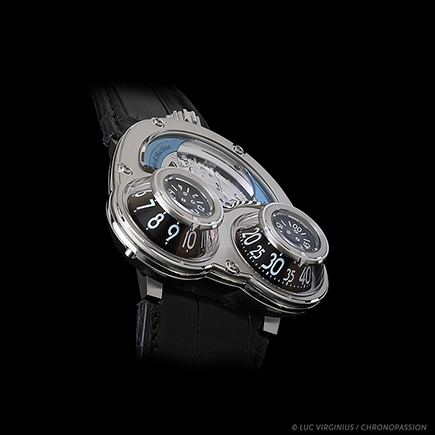 The world of high-end horological timepieces would suddenly discover what disruptive design, audacious design, futuristic and radical design was all about. 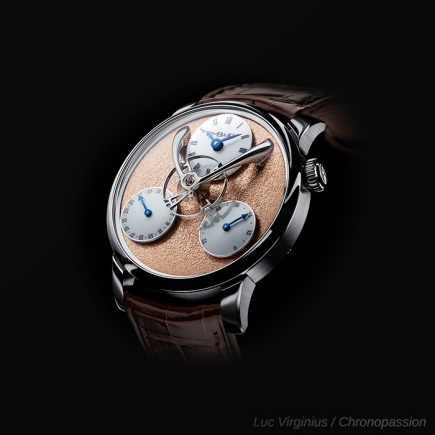 Maximilian Büsser also had the vision to develop his artistic concept jointly with talented independent watchmaking professionals. 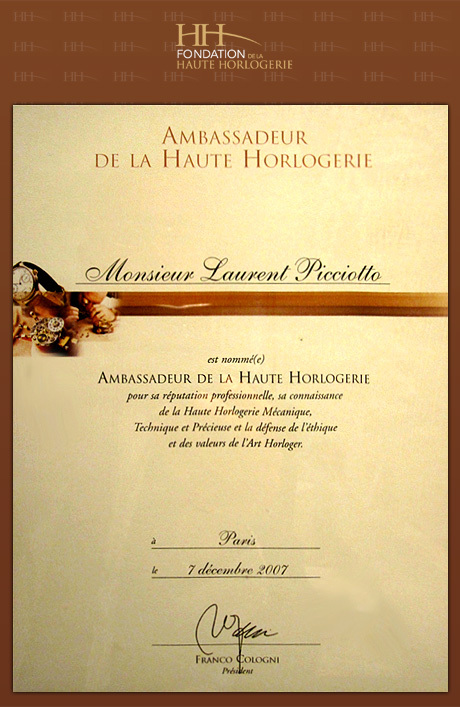 These key people would become part of his project, part of his creations, even part of his brand. 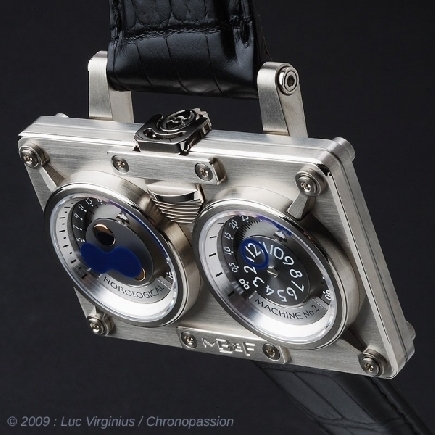 They were his Friends, the “F” in MB&F. 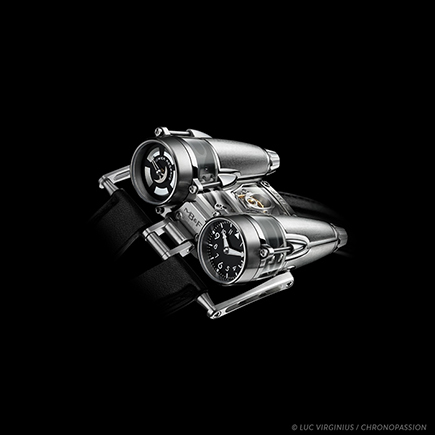 The MB&F Horological Machine No.1 was an innovative and totally original timepiece. 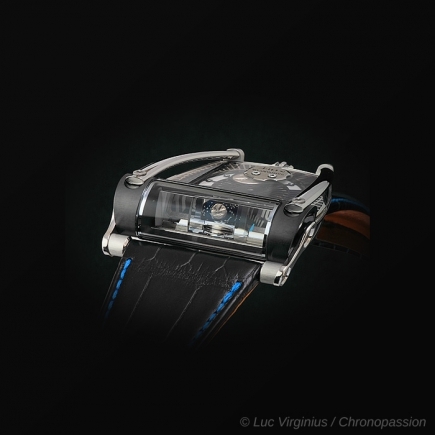 It was the genesis of Maximilian Büsser’s project to redefine contemporary watchmaking. 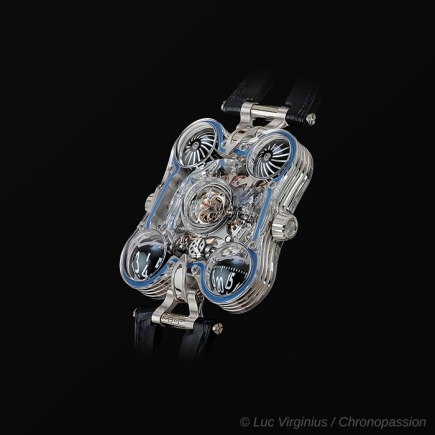 Nobody else had ever created such a machine, where the perpetual movement of time can be observed so clearly. 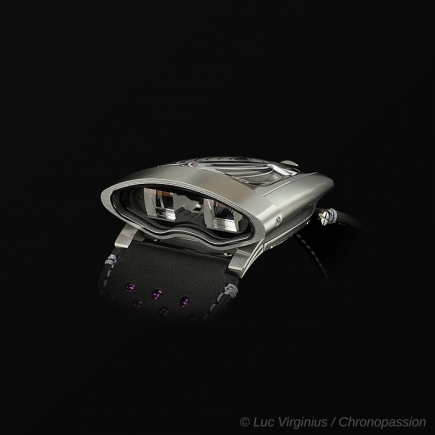 The whole power of the project came from the fact that the watch was totally futuristic in its design, yet the craftsmanship, engineering and horological knowledge behind the timepiece positioned it at the same level as any other high horology watch. 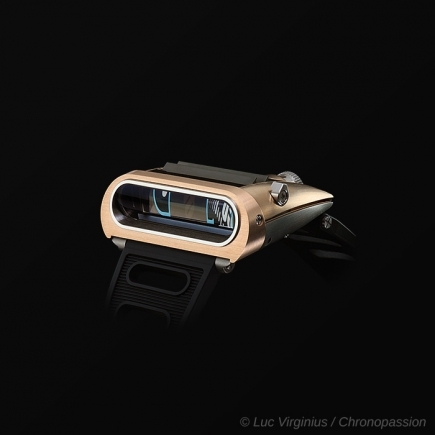 The concept was revolutionary, the people behind it 100% credible, and the execution absolutely perfect. 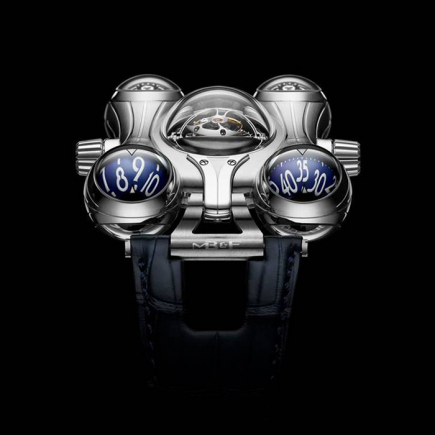 Over the years, Maximilian Büsser would demonstrate that imagination and horological design have no limits, and MB&F would come up with a new, audacious Horological Machine on a regular basis. 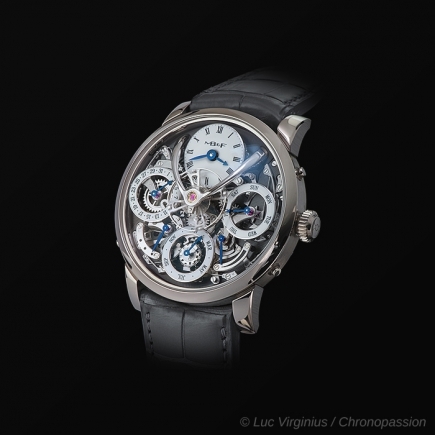 Each watch would always come in a limited edition and be available in either white gold or red gold, as well as in some cases black PVD coated white gold. 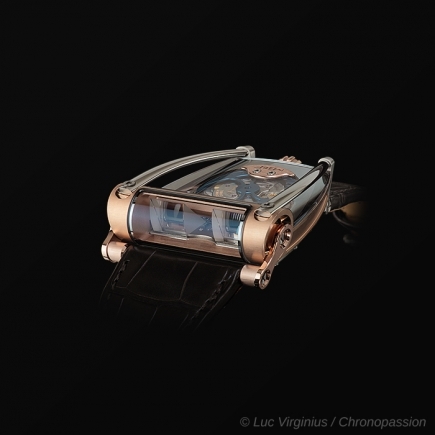 The inspiration behind each Horological Machine is in many cases science fiction. 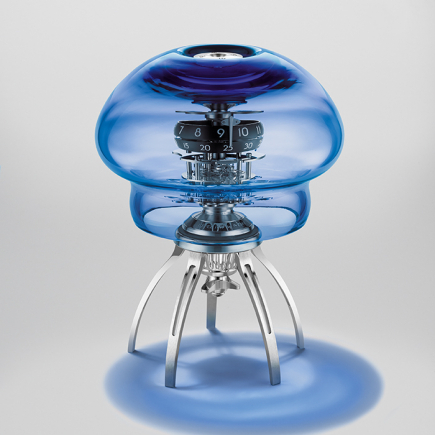 No pre-defined rules apply to the creation of a Machine, and this is why the result is always an unexpected explosion, from the future or from the past. 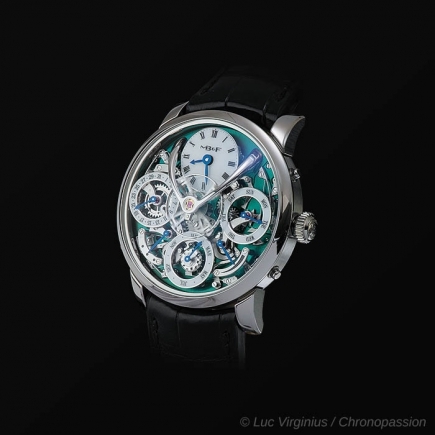 A Horological Machine never really has a dial to tell time the conventional way. 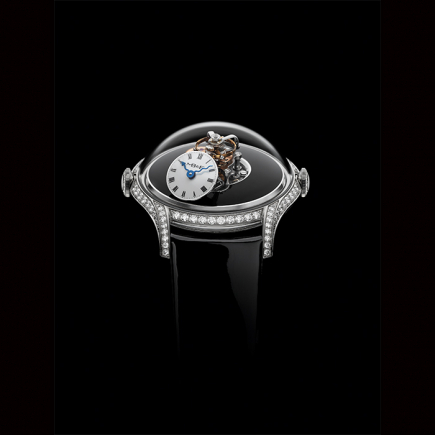 Instead of a dial, the watch plays with sapphire or titanium constructions, all of unusual shape and volume. 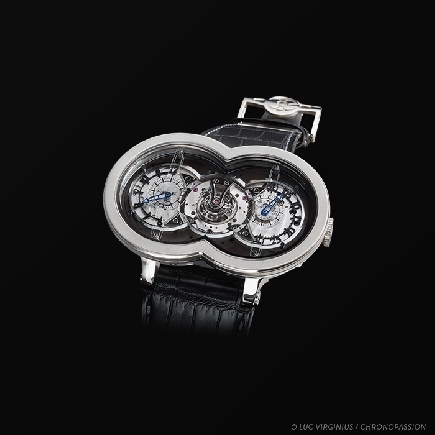 Each piece of a Horological Machine is a bespoke design for a bespoke function. 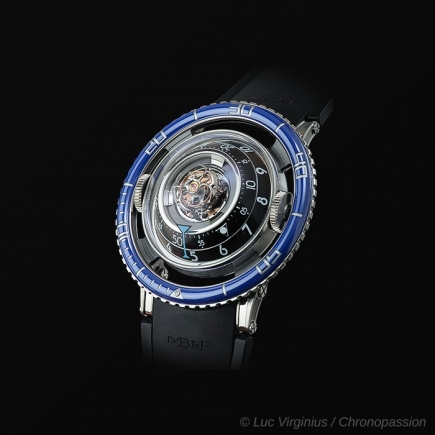 And all finally come together to indicate hours and minutes within a same space ship. 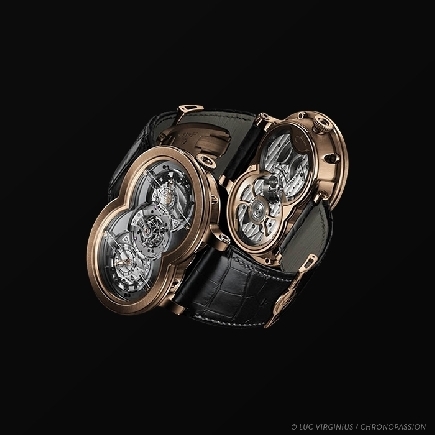 Maximilian Büsser’s watch brand did not take long to take-off, and the watch aficionados in quest of something different would ask themselves each year: “What will be the next invention of Mr Maximilian Büsser?”. 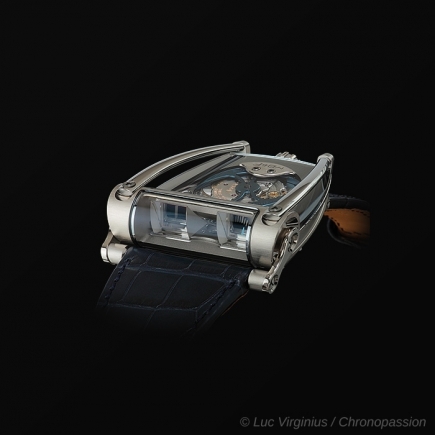 But Büsser and his Friends display perpetual creativity to tell the story of the perpetual movement of time. 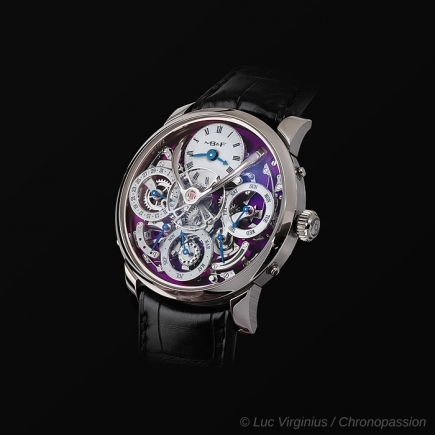 The Horological Machine collection was later to be enriched with a new collection of watches: the Legacy Machine collection. 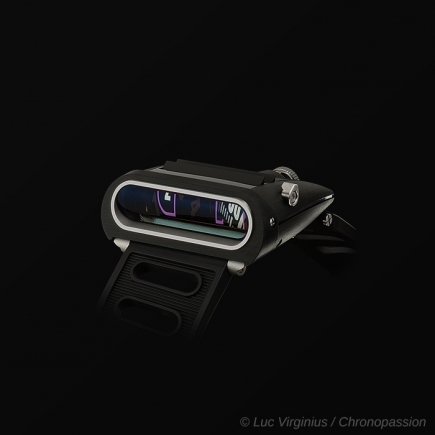 Each Legacy Machine watch remains in the same spirit of the MB&F brand: disruptive, creative and futuristic, yet with a strong horological identity. 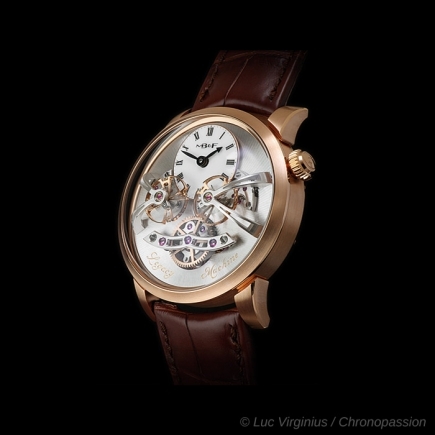 The Legacy Machine was also developed with highly talented watchmakers (Jean-François Mojon and Kari Voutilainen for LM1) and quite naturally also features a unique, manufacture movement. 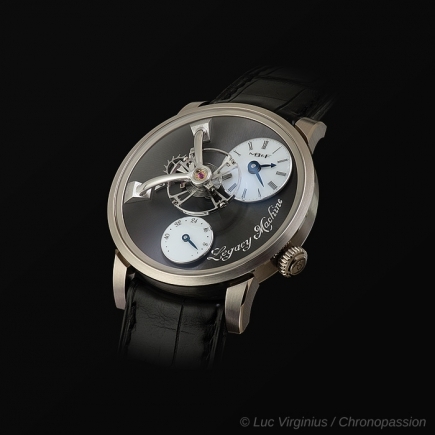 The movement tells time with traditional hours and minutes hands. 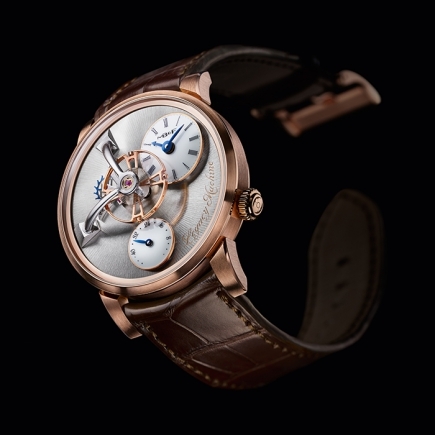 What is not so traditional is the oversized 14mm balance wheel positioned centre-stage and flying above the movement and dials. 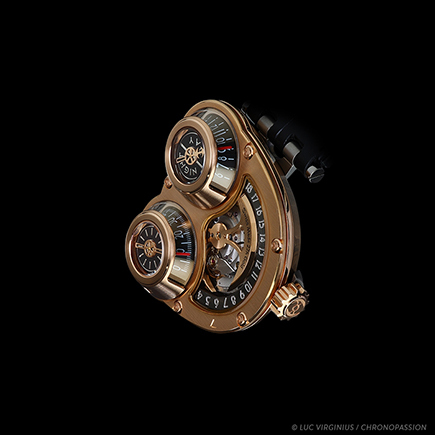 A balance wheel that would become the icon of the Legacy Machines. 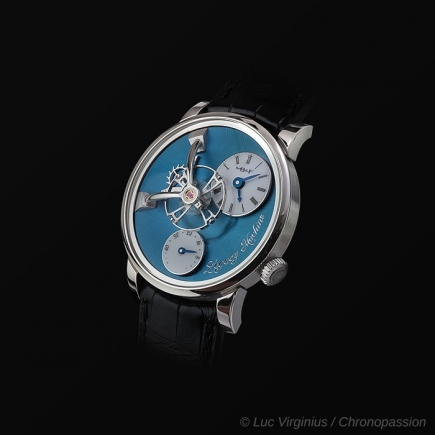 The simple fact that the design of Legacy Machine watch is round-shaped already makes this collection of watches more traditional than the Horological Machine collection. 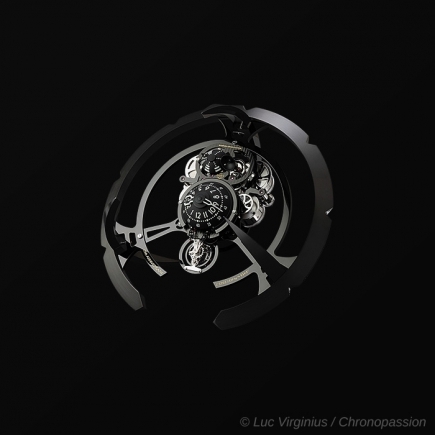 The design approach, in both cases, remains three-dimensional, which offers by definition a much larger playground to tell time in a different way. 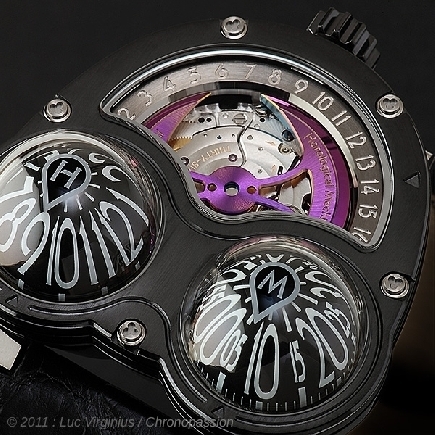 The perfect illustration of this is the unique vertical power reserve indicator on LM1. 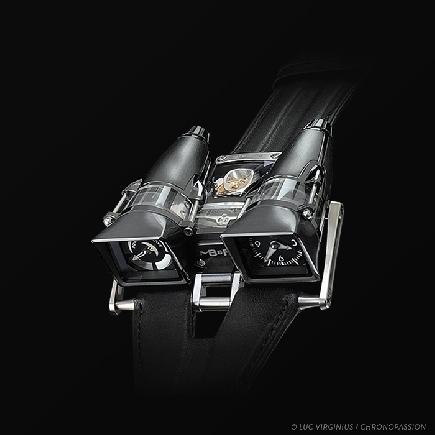 Looking like a miniature sextant and positioned at 6 o’clock below the domed sapphire glass, this world-first power-reserve indicator generated amazement and respect in the whole watchmaking industry, with hundreds of press articles also saluting the design and technological genius behind such a creation. 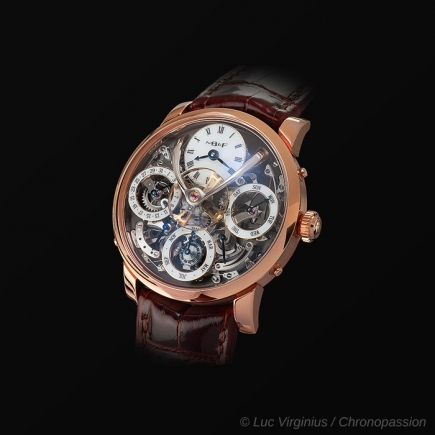 Through his collaboration with Switzerland’s premier clockmaker l’Epée, Maximilian Büsser, and his Friends, opened a totally new segment of high horology, far from his Horological Machines and Legacy Machines, and even further from traditional watches. 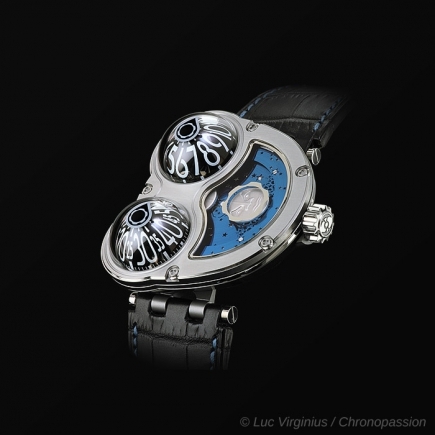 Finding inspiration, again, in the world of science fiction, these mechanical creations (or creatures) showcase a playful and audacious design, using sapphire, grade-5 titanium and suspended movements. 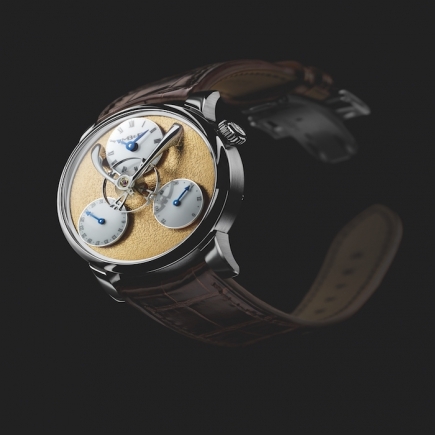 Maximilian Büsser and Friends are now in their tenth collaboration, which shows that this new form of horological art has found its audience. 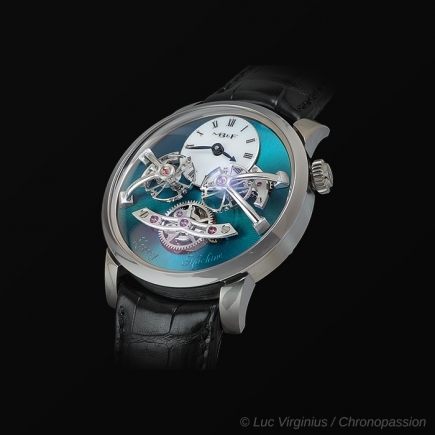 An audience of connoisseurs and collectors that have found in these limited edition creations the perfect artistic expression of time. 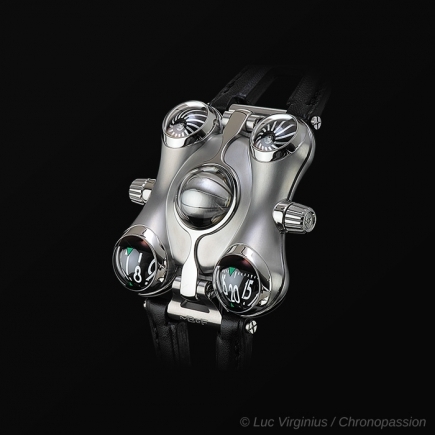 Chronopassion is AUTHORIZED RETAILER of MB&F since 2007,date of the brand's birth.